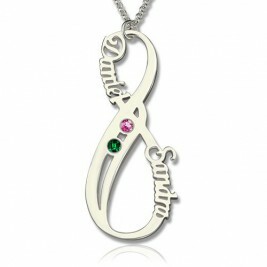 This intricate design is not only hand cut from scratch but it is a symbol of an everlasting bond. 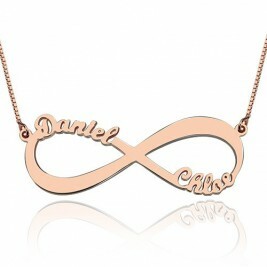 You can personalise it with up to 10 names on a double infinity or 5 on a single infinity. 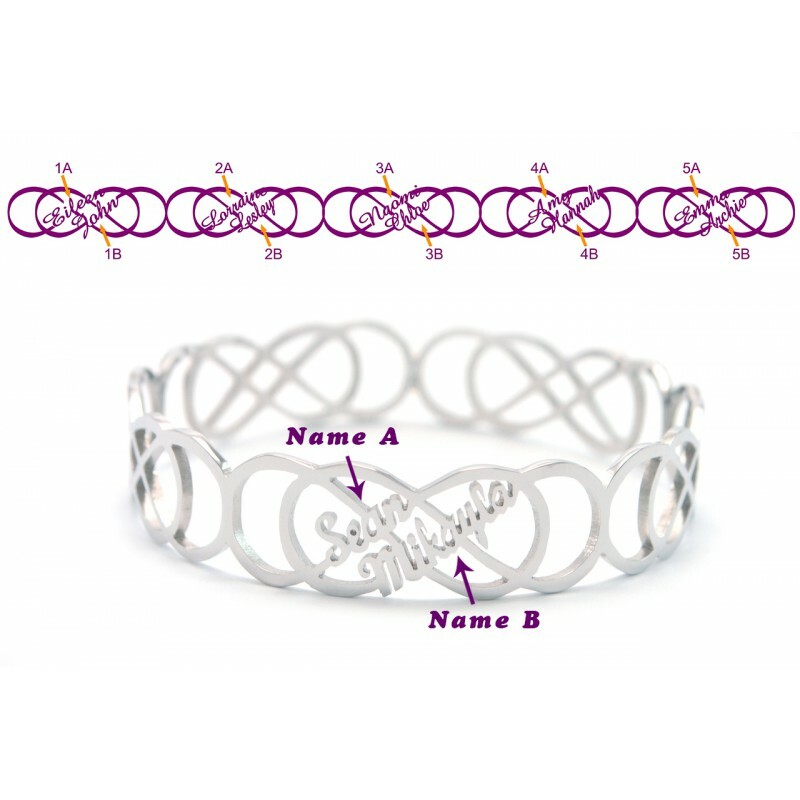 Shown in the picture is 2 names repeated in the 5 double infinity so if you have just 2 names or even want to fill the rest with dates or meaningful words, this exclusive design is sure to be a one of a kind. All our pieces are handcrafted and hand cut from scratch. 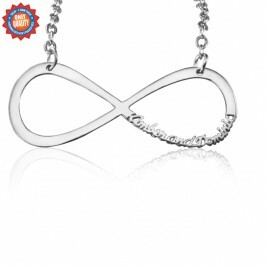 Many double infinity bangles are sold together at affordable prices and therefore, it is a tempting choice to buy many together at once and wear all of them together. However, it is important to wear the bangles in moderation for any occasion. 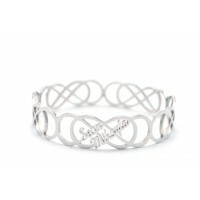 Wearing many double infinity bangles together at once takes away the unique charm and design of each individual piece. Wearing the pieces you like and taking some of them off for going outside is recommended. When worn together with other jewelry items, the double infinity bangles should be kept minimal so as not to make the rest of your outfit overwhelming. It is important to avoid homogeneity while wearing double infinity bangles. Wearing bangles with different designs and colors are a stylish option to create a unique look, so uniformity and consistency is not always a good fashion choice. However, it is recommended to wear infinity bangles of similar color tone and temperature for creating the best look. Also, when you are wearing a bright colored outfit, go for cooler and sober colored double infinity bangles like silver and light colored tones and support jewelry of red or deep colors with gold double infinity bangles to look your very best. 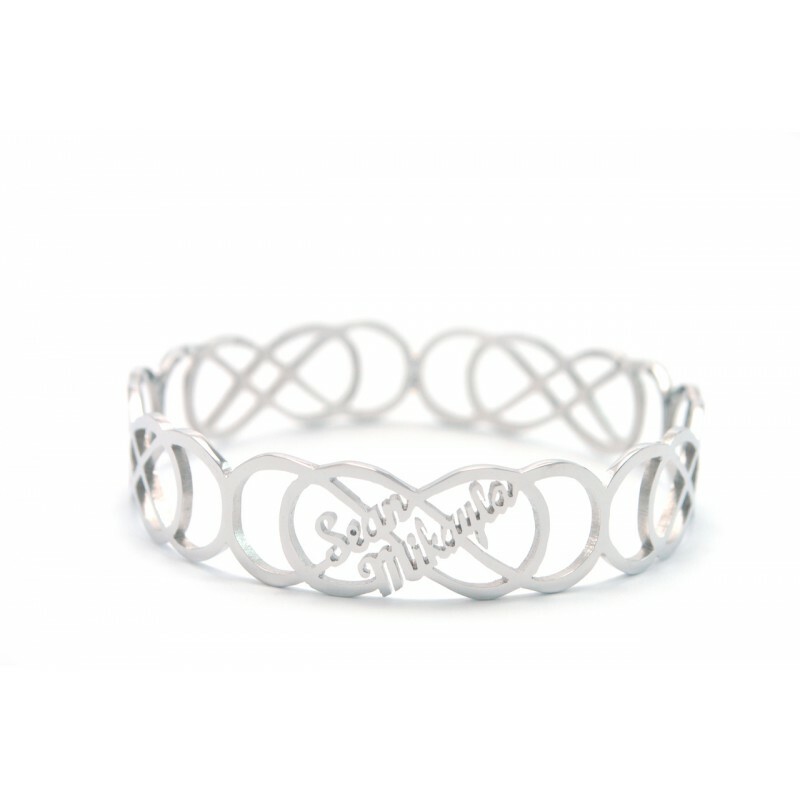 Double infinity bangles are available in different sizes. There is a possibility that smaller sized bracelets can become invisible when layered together with bracelets that are larger. And the double infinity bangles that are larger in width should be worn alone. It is also advised for dressing purposes to group your double infinity bangles according to their size in different sets so that dressing up takes less time. 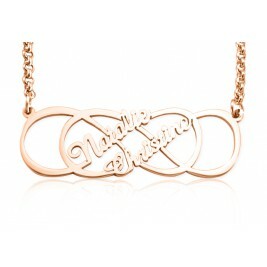 It is therefore necessary to carefully size up your double infinity bangles before buying them. 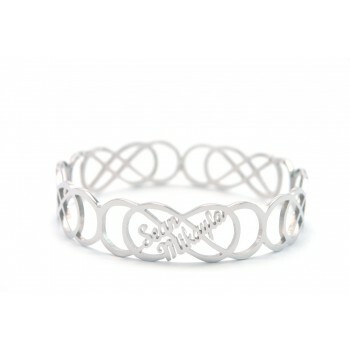 The endless double infinity bangle is truly one of the most unique and beautiful personalized piece of jewelry today and is one of the most popular fashion trends currently. 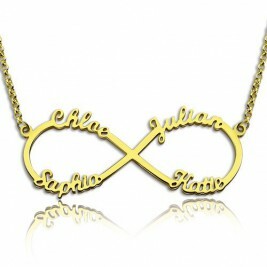 It has a lot of meaning attached to it as it symbolizes everlasting and eternal love and is also a sign of empowerment. Different people attach different meanings to it, some could portray it as a sign of women empowerment while some and some could see it as sign of limitless possibilities and endless love for someone. 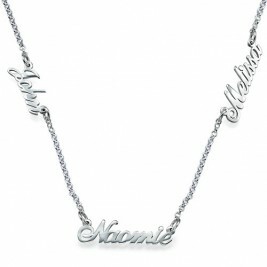 It can be personalized with names as well as meaningful dates and words, therefore making it a one of a kind jewelry piece. The double infinity symbol represents a sense of permanence and wholeness in many different beliefs and cultures. 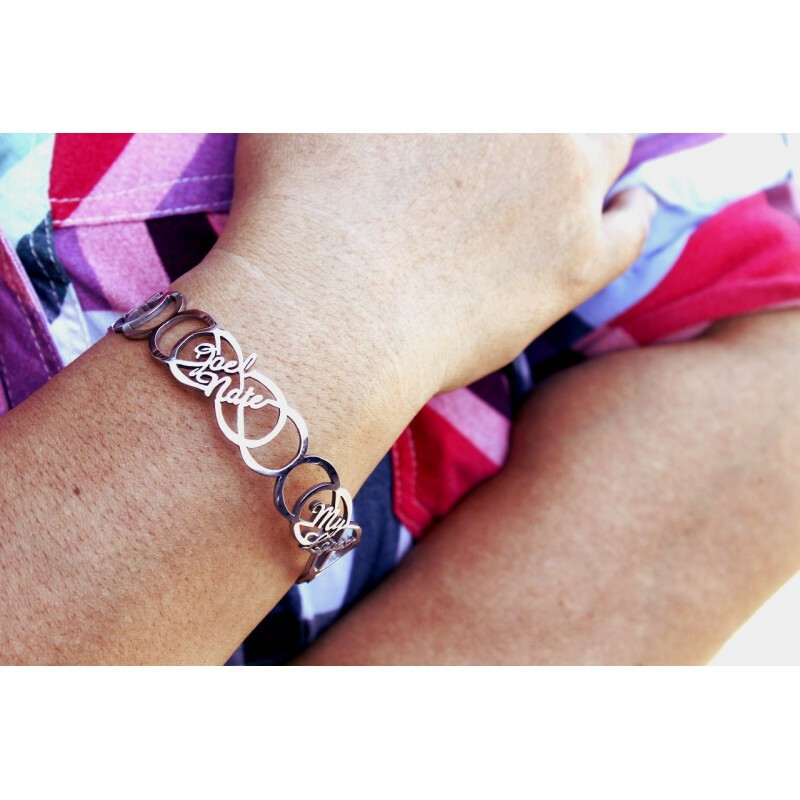 This symbol is utilized often in Celtic knot pattern which has no ending or beginning, very much like the double infinity symbol. 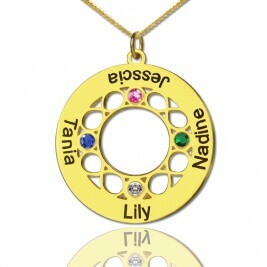 The Celtic cross design is also based on the symbol of infinity and is a representation of endless spiritual love. The infinity symbol can also be found in tarot cards, used for fortune reading, as a depiction of endless power and possibilities. There are also signs in the ancient culture of Egypt of a snake that bites on its own tail similar to the infinity sign, showing perfectly the everlasting circle of ends and beginnings and that it is not possible for one to exist without the other. I got so many compliments on this personalised bangle. Just love it. 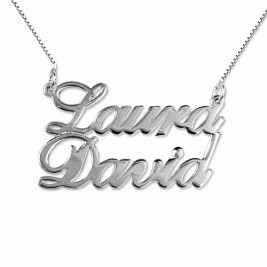 I was very happy with my purchase.This a great gift especially for someone who is religious. This was a gift for my daughter. She loves the bangle. It's very attractive and has plenty of bling appeal. The photo doesn't do it justice. Beautiful. Couldn't be happier for the bangle. Just what I wanted. Goes well with my other 2 bangles. Thank you! This bangle is so comfortable and absolutely beautiful. I received many compliments on it. I would highly recommend purchasing it. A nice little gift that adds a cute and sassy bangle to the collection of them that my friend has. Very Tickled with Purchase!! Just what I thought is was going to be like and more!! I hope to find more bangles like this at a good price!!
" she loves the cross, I thought it was a little bigger than it ... "
" I've found that I receive quite a few compliments whenever I w ... "